Dr. Sc., Professor of the Department of High Mathematics of Bauman Moscow State Technical University; Professor of the Department of Differential Equations, Faculty of Mechanics and Mathematics of Lomonosov Moscow State University, specialist in the field of partial differential equations and spectral properties of differential operators. He graduated from the Faculty of Computational Mathematics and Cybernetics, Lomonosov Moscow State University in 1981, listened to lectures of outstanding scientists A.N. Tychonov, A.A. Samarskii, N.S. Bakhvalov, V.A. Ilyin, L.N. 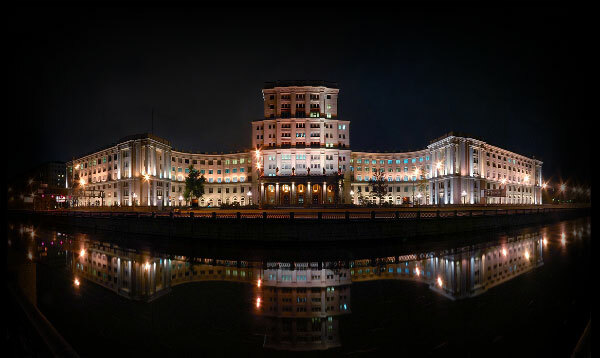 Korolev. He have postgraduate studies at the Faculty of Computational Mathematics and Cybernetics, Lomonosov Moscow State University, specialty 01.01.02 in 1984 (supervisor - Prof., Dr. Sc. L. A. Muravei), Ph. D. degree (physical and mathematical sciences) in the specialty 01.01.02 in 1985 in the Dissertation Council of the Steklov Mathematical Institute Russian Academy of Sciences, Dr. Sc. degree (physical and mathematical sciences) in the specialty 01.01.02 in 1999 in the Dissertation Council of the Steklov Mathematical Institute Russian Academy of Sciences.